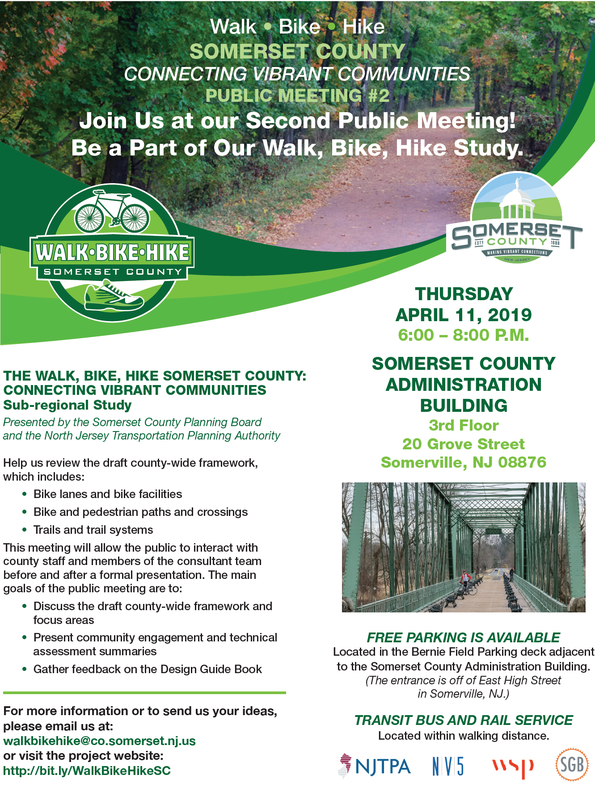 Come join the Somerset County Planning Board for the second Walk, Bike, Hike Somerset County public meeting on Thursday, April 11 from 6 to 8 pm at the Somerset County Administration building. This meeting will allow the public to interact with county staff and members of the consultant team, as well as discuss the draft county-wide framework and focus areas and provide feedback on the Design Guide Book. For more information, please visit Somerset County’s website.